Only present in vertebrates, the ear is the organ of hearing. It is the management center sounds through the auditory apparatus whose functions extend from the capture process to that of deciphering. But the ear is also involved in the context of the balance. It is divided into three main areas. The outer ear consists of the flag and the external auditory canal. The inner ear comprises the cochlea and the vestibule while posterior middle ear contains the eardrum, the hammer, anvil and stirrup, and the Eustachian mastoid trunk. Original article published by Jean-François Pillou. Translated by Marjorie Gaulier. Latest update on August 20, 2014 at 05:34 AM by christelle.b. 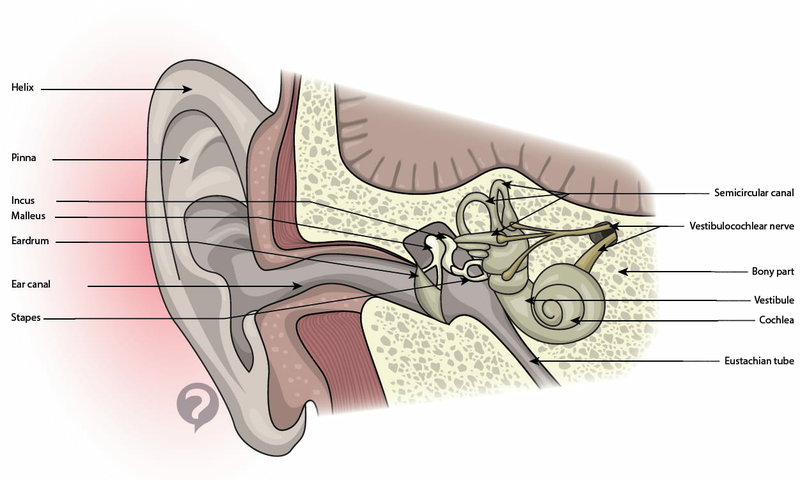 This document, titled "Ear - Definition," is available under the Creative Commons license. Any copy, reuse, or modification of the content should be sufficiently credited to CCM Health (health.ccm.net).